Solution: A set of vintage melmac bowls found on Etsy and quilted placemat that helps keep dropped food from spreading away from the dishes. The placemat was a piece of patchwork I’d sewn for another project and abandoned, just cut to the size I wanted. 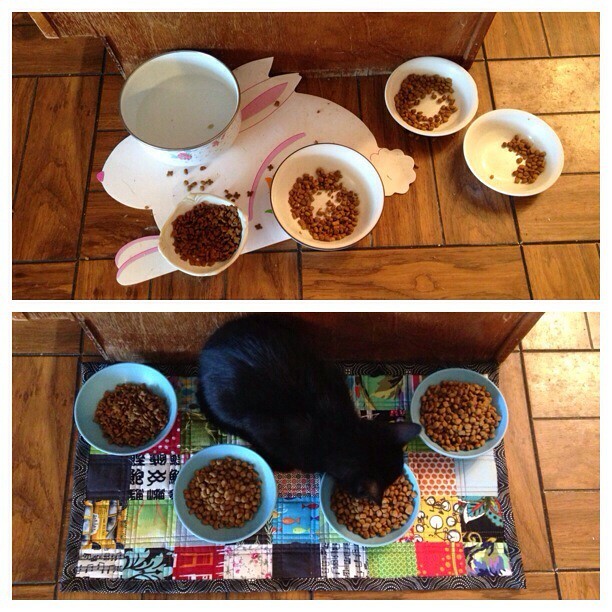 (That’s why the squares are strangely sized, but the cats haven’t seemed to notice.) We also just gave up on having a water dish by the cat bowls. They never used it and it just got yucky. They all share dog water. Since the change, Mojo has eaten the cat food once, but that is an improvement. 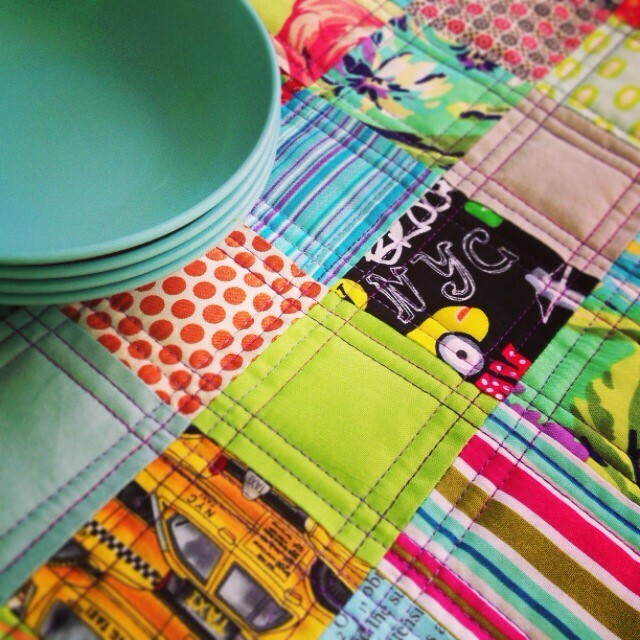 The quilted placemat can just be thrown in the wash, which is nice. I’ll probably end up making them another placemat or two and they probably deserve another set of dishes, too. Not that they’re spoiled at all. Haha, I’m sending this to my husband so he knows I’m not the only pet spoiler out there :P.